Unwitting tourists are tossing invaluable chunks of 200 million year old dinosaur tracks in a reservoir at a Utah park. Authorities are scrambling to deal with a major problem at a Utah state park, as tourists are unknowningly throwing priceless rocks that are actually 200 million year old dinosaur tracks into the reservoir. Red Fleet State Park in Utah has been a gold mine for ancient dinosaur tracks, but visitors have not been able to resist prying up the rocks, not realizing what they are, and tossing them in the reservoir below. Vandalism of the dinosaur tracks has been increasing over the last six months, and officials are not sure exactly what to do about it. Officials even considered hiring a dive team to retrieve some of them, although they know much of that will be wasted effort because the tracks will likely have been destroyed for the most part. Instead, they have opted to erect signs warning visitors. 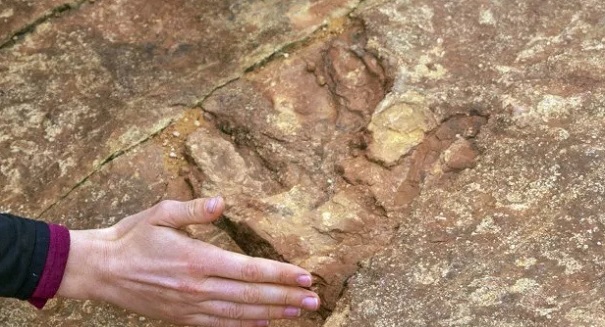 Officials think at least 10 of the more visible dinosaur footprints have disappeared. The tracks are on rocks that are typically three to 17 inches in width.